With the help of photoshopping technology, modern media offers us a very narrow picture of beauty. Women must have regular features, perfect skin, and impossibly slender bodies. Allison Dryja is a health and wellness coach who supports women in feeling good about themselves. 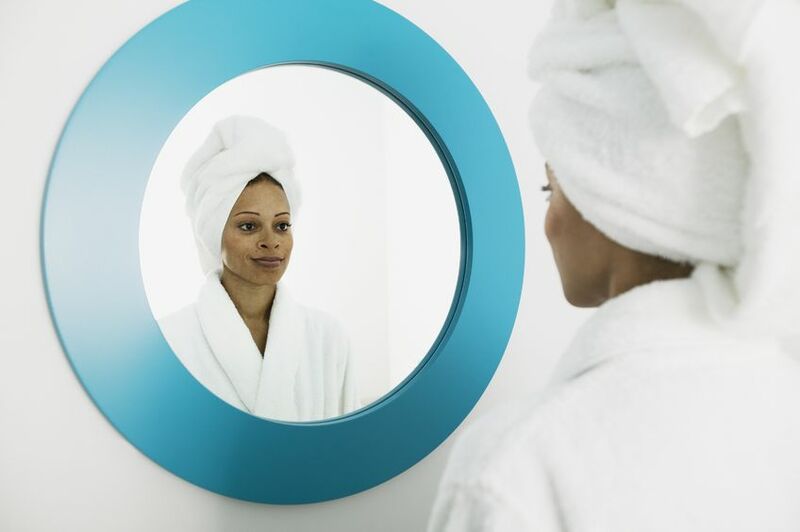 In a recent article, she offers 7 powerful tools to help you reclaim your own, authentic definition of beauty. 1. Find the positive intention. Every time we buy into a belief, it serves us in some way. How does your acceptance of the media’s standard of beauty have a positive payoff for you? Perhaps you accept it because it gives you a standard to try to reach. Maybe it keeps you focused on external limitations, instead of examining deeper issues. It may keep you from “putting yourself out there” and risking rejection. Maybe it lets you criticize your appearance before someone else does. How does buying into the media myth hold you back? Make a list. For example, maybe it keeps you from interacting with men, and cuts you off from the possibility of finding love. What do you WANT to believe? Write that down on paper, and state the proof you have to support it. Keep looking for – and writing down – all the things you like about yourself. 5. Behold the power of sensation. When you begin to imagine how you could feel, you begin to subconsciously increase your awareness of things that enhance that feeling. You want to feel beautiful, so start paying attention to how it feels in your body when you enjoy a flower, or a sunset. Then pull that feeling into your own consciousness. Begin at the top of your head, and moving down your face and body, touch every feature. Notice your relationship to it. Do you judge it as less than worthy? Have other people judged it? As you pay attention to each feature, thank it for what it does for you. Send it love. Believing you are beautiful can change your life, but it also changes the world. When you allow yourself to feel beautiful, you make space for other people to also feel beautiful. We are the fount of such deep feminine energy, and when we are not using that energy in a pointless desire to change the way we look, we can pour it into changing the world.